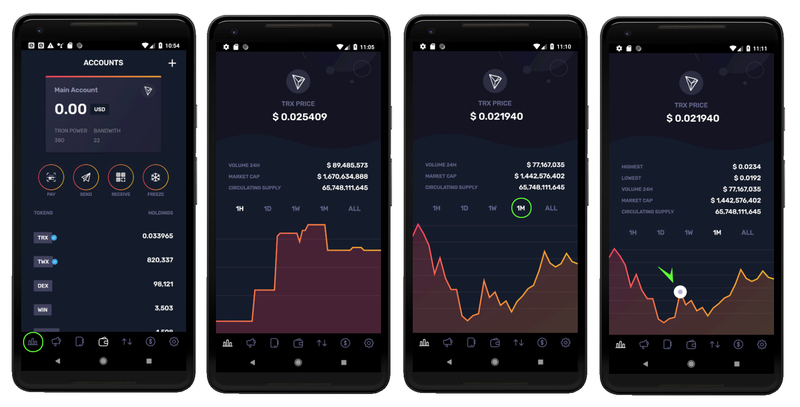 The Market Screen in Tron Wallet is where you can find the fluctuation of TRX compared to the currency you have selected on the Account Cards on your Balance Screen. To go to the Market Screen, tap on the leftmost icon on your navigation tab bar. 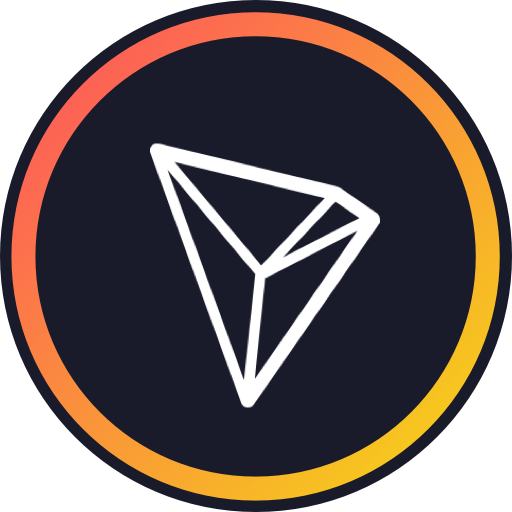 There, you will find the current price of TRX, the 24h volume, market cap, circulating supply and a graph that indicates the fluctuation based on selected time frames (1 hour, 1 day, etc). Tapping on a specific point in the graph will also change the currency information to reflect the value of TRX at that moment.